Here’s a fun reminder for those fighting the good fight. Last published in September, 2010. – Joe Sipowicz Be sure to enjoy the subtle image of the tennis racket lying on the bench! Chaffee Lead Shrinks to 30. Things Are Looking Grim In Leftyville. Did Fullerton’s Yellowing Observers Cost Doug Chaffee the Election? Well it’s about time. The Fullerton Association of Concerned Taxpayers has a blog! In fact, FACT just released their “Last Minute Voter Guide” to help us shovel through the great heap of 2010. 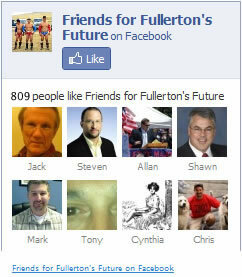 It’s good to see new bloggers out there in Fullerton… and it’s even better when we get to call them our Friends. Dereliction of Duty. The Case of the Missing Media.